Booking with our Studio is easy. We send you everything you will need to get started. A signed agreement and retainer are required to reserve your day. The entire process can be completed online or from your mobile device. After you book us we are available to you 24-7 to answer any questions that come up and help any way we can. If you are on social media, such as instagram or twitter, we like to connect up with you there also so we can become great friends that much quicker! We love to hear from you often and keep up to date on the planning process. This is our time to get to know each other really well so you are super excited to spend your wedding with us. We send you regular emails to keep in touch and updated on your plans. There are special clients-only resources with helpful tips, links, special offers, product information, and studio news just for you. If you are having an engagement session, we like to schedule this at least 3 months before your wedding so there is time to order an album or framed print for guests to sign at your wedding. Some clients opt to have their engagement session a year or so out so that they can use photos on their wedding invitations or build a wedding RSVP website for your day. A few months before your wedding we send you a link to an online questionnaire with all the details we need to know to make your experience the best imaginable, such as names of your family and wedding party, your wedding timeline, etc. We ask that this is filled out and submitted to us no later than 6 weeks before your wedding. Now is the time we meet for a video chat, evening out, coffee or phone call to go over your information form, confirm the photography timeline and chat about your family shot list. Any final questions you have are answered, we give you a few helpful last minute tips, and have a bit of fun chatting about your soon-to-come day and the people who will be participating in it. Likely this will be the last time we "hang out" before your wedding day so it's a really important meeting. It's fun too, because we are great fiends by now! There's a knock at your door! It's us, camera in hand, ready to snap that first action shot of your day. We are looking our best, excited to meet your important friends and family, and so inspired. Because you know us so well already it's like connecting up with old friends. We usually end up laughing together within minutes of our arrival, and the day has only begun. While you get pampered and beautified our cameras are clicking, creating visual stories of every moment and detail. We photograph the hair and makeup, wedding dress, veil, shoes, jewelry and more. We capture wide shots of the room - be it messy or clean - and closeups of the artists and stylists at work. 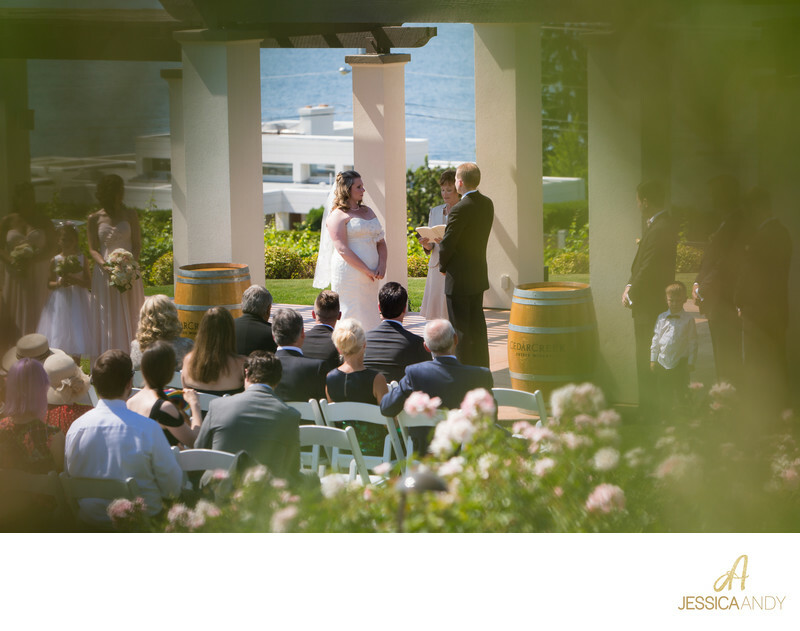 Other important details, such as handwritten vows, gifts and letters become the focus of our creative eye - as we compose unique art incorporating these valued treasures. When the time is right, Andy or both of us meet up with the guys to capture a similar set of images. 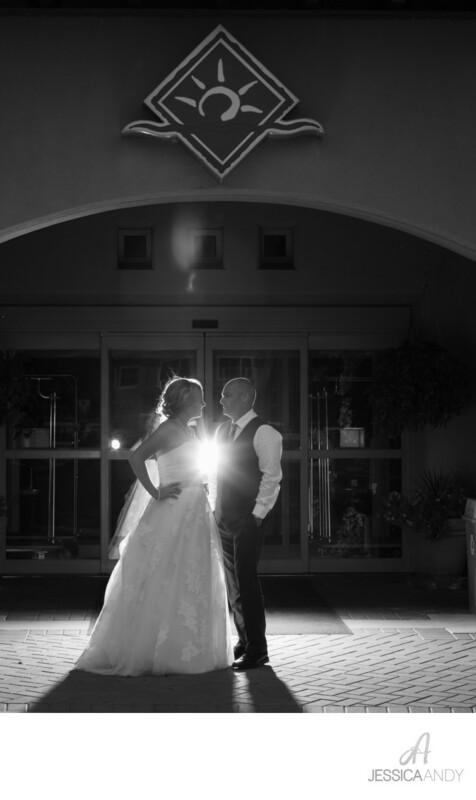 If you choose a first look, we will set you up in an ideal location, line you up back to back or just around a corner from each other, and start snapping as you turn to see each other for the first time. Because there are two of us - one person can focus on the groom and the other on the bride so your immediate expressions are captured perfectly. If time permits we will merge from this directly to romantic portraits, before joining up with your wedding party. You may want us photograph formal portraits with your family and wedding party before the ceremony also. It's completely up to you! 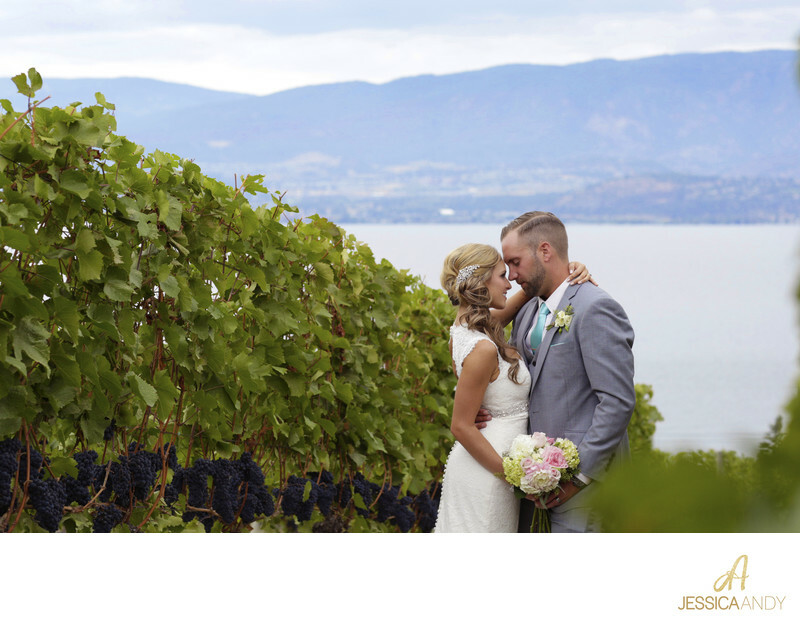 We seamlessly work together to photograph every moment of your ceremony. One of us is always dedicated fully to the bride and groom, while the other focusses on the reactions of family and guests, unique perspectives, wide shots, and close up details. We switch back and forth as needed and stay as invisible as possible. The ceremony is all about you. We are just there to document it with amazing photos that you can look back on to smile, shed a tear, feel and remember the moments whenever you feel like it. Formal pictures, should you opt for them, usually include family portraits and posed shots of the wedding party. We find a pretty and convenient backdrop and make sure that every important person has their time in the spotlight. Our trained assistant checks off the shot list, sets up and manages our light(s) if required, and makes sure your wedding dress and tux look perfect. We can photograph these literally anywhere - even in the black of night or bright mid day sun. There is no stopping us from creating well lit and sharp images of you and the people you love. Usually one photographer and our assistant take care of these formal images, while the other photographer sneaks off to photograph the reception venue and other guests as they hang out during the cocktail hour, etc. When time permits, and we hope it does!, we separate from the guests for some fun with your wedding party. We don't have to allocate too much time to this - just enough to chat about the events of the day, laugh a little, and hang out. Ideally you will have a generous block of time dedicated to photography alone so we aren't rushed too much. You want to enjoy your day after all! No wedding day is complete without a romantic session with just the two of you. 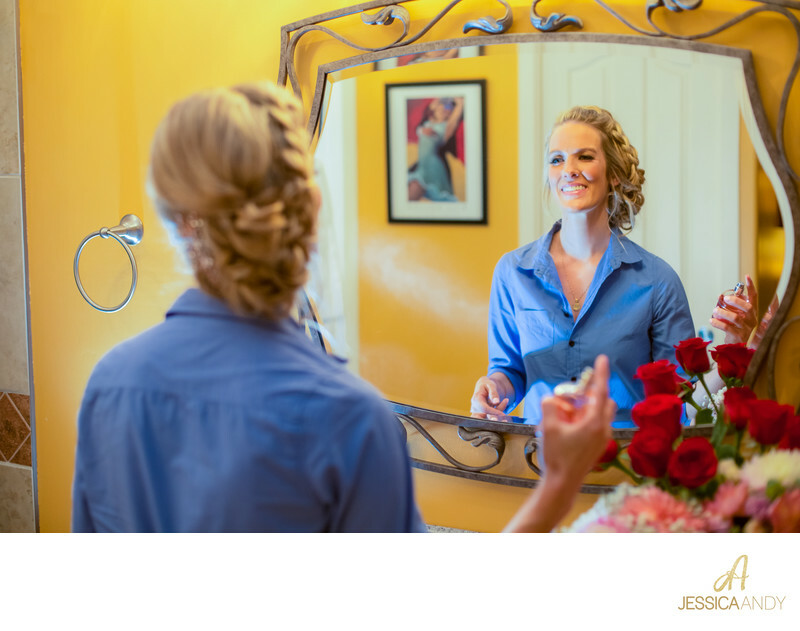 This is often between the ceremony and reception, or you may opt for a first look session prior to your ceremony. We will hang back and zoom in from a distance while you share an intimate moment together. We will direct you with some loose posing for a portion of our time. There will be portraits captured of each of you separately, close ups of you together, scenic images with dreamy skies, and some extra creative photos unlike anyone else has. Often a portion of these photos are captured during a second "mini session" sometime during your reception, when we sneak out for a few minutes at sunset or in the black of night and create something truly magical. You are going to LOVE this time behind our lens most of all. We always have a great time. Our cameras return to work in stealth mode, photographing people and events with poise and precision. Every instance is caught on camera as it happens - from your entrance, to speeches to the first dance or in whatever order you choose and however long you hire us to stay after that. We deliver perfectly exposed, brilliantly lit and incredible photos always. Receptions are one of our favourite parts of the wedding day and we love to get super creative in between moments, once the "must have" shots of details are photographed. These are definitely the most fun pictures of your day! When the dancing is well underway and our time is done, we will check in with you to make sure there is nothing else you'd like us to stay and photograph. We are always happy to stay later at a moment's notice. Before we make our exit there are hugs and smiles and thank-yous all around. We have just shared an incredible experience together, unlike any other. It's why we love weddings so much.